If you knew nothing else about me other than the fact that I hunt ducks, that would be enough to say that you know me pretty well. I love this 2 ½ month season. I love the early morning wakeup and the exhausting walk on public land while having too many decoys strapped to your back. I love the early morning sunrises and the bite of the harsh Northern wind. I love drinking hot coffee in the middle of the cold darkness with my friends gathered around as we talk and laugh about anything and everything because, in the duck blind, no topic is off limits. Most of all, I love the ducks. I love the flash of a violet-blue speculum of a Mallard and how the sprig of a Pintail cuts a V into the water as it lands. I love the boring “meh” call produced by the Gadwall and the shrills of a Wood Duck as it’s jumped off its roost. I love how the Canvasback, the King, can blot out the sun as he lands and how the tiny Green-wing Teal has the biggest flavor profile of them all. Duck hunting is my curse, my addiction and my love, all rolled into one. It’s what I truly believe I was put on this Earth to do. Sharing the steps with you on how to get started is part of it as well, and guess what? I’d love to help you along in any way possible. For right now, we’re going to stick to the basics to get you started into the world of waterfowl such as gear you will need, where to hunt, and how to hunt. The best way to learn is to have someone take you under their wing and teach you. But, that just isn’t always possible. So, our main objective at this point is to get you out into the field and start the learning process. Believe me, this is a learning process, so be prepared to commit yourself to learning more at first rather than bringing home straps of birds. In an article at a later date, I’ll go into more detail into topics such as calling technique, reading birds and their movements in flight, and some more decoy strategy other than just your common spreads like the C’s and J-hooks. 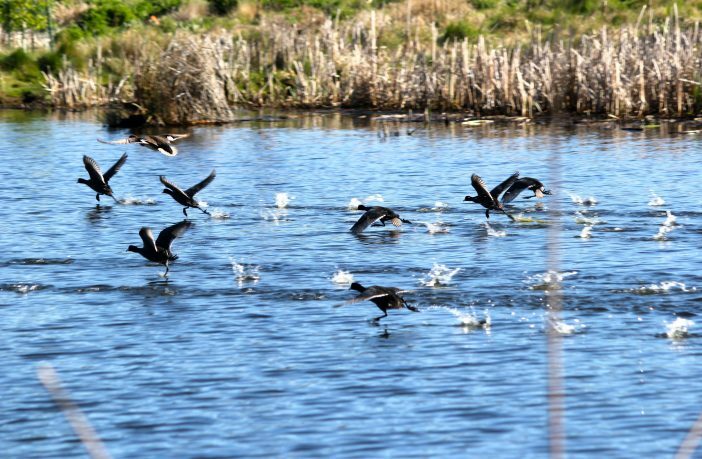 When we talk about gear for water fowling, understand that no one is expecting you to run out and drops thousands of dollars on gear to hunt waterfowl. If you stick with it long enough, you’ll eventually amass a mountain of gear that will take up too much room in the garage and plenty of complaints from the wife, so let’s make this transition as easy on the both of you as possible. These are the essentials that you will need, everything else should be treated as a luxury item and given thought later on down the road, if you decide to stick with this. Remember that it is illegal to hunt waterfowl with lead shot. Just leave it at home. First and foremost, if you don’t know now, considered yourself warned: it is illegal to hunt waterfowl with lead shot. So, just leave it at home. There’s several options when it comes to non-toxic shot, some greatly more expensive than others. Is the expensive stuff that much better? I don’t know, but I do know that I can’t justify spending $35 or more on a box of shells to hunt while I pay half that price right now and do just fine keeping my freezer full. 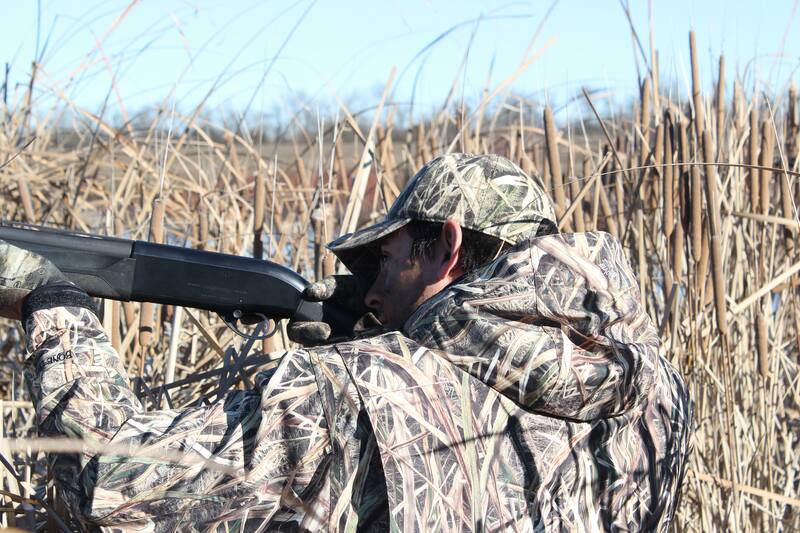 The 12 gauge is by far the most popular size for hunting waterfowl and for good reason. However, it’s not the only option. The 20 gauge, as I’ve discovered in recent years, can be just deadly in the hands of the right shooter. But, if neither of those do it for you, and ligament damage isn’t a concern, there’s always the 10 gauge. Good thing about having a 10 gauge with you is that if a pterodactyl flies by, you’ll have something to bring him down with! Remember, all shotguns must be plugged to allow no more than 1 shell in the chamber and 2 in the magazine, for a total of 3 shots. Any more than 3 is illegal. There is a considerable difference between a good pair of waders and a great pair of waders. Buy the best pair that you can afford. This is the one item I’m going to tell you to buy the best you can afford. There is a considerable difference between a good pair of waders and a great pair of waders. And a great pair of waders can save you a lot of misery on a blistering cold, wet day. But, also take into account your normal hunting conditions. While neoprene is warm and waterproof, it may not be ideal if the majority of your hunting is going to be taking place down on the coast where the temperatures during the season don’t fluctuate that much. Like non-toxic shot, there’s a multitude of decoys on the market today and it can be overwhelming deciding which to go with. Rather than focus on a specific brand, focus on the species of birds you’ll likely encounter. Talk with other duck hunters in your area and find out what they’re used to having come into their spread. Mallards may not make up the majority of birds seen in your area, but Gadwall and Widgeon love your neck of the woods, so it would make sense to get some Gadwall and Widgeon decoys. I’d still add a few mallard decoys to my bag because they are the most recognized bird out there. Trying to decide which brand or type of decoy to buy can be overwhelming. When purchasing decoys, focus on the species of birds that you’ll likely encounter in the field. 2 dozen decoys should be more than plenty to get started with, but don’t take all of them out to the field. Leave one of two from each box behind so you can replace any that may get damaged. As far as price, that is completely up to you. If you don’t mind dropping $100 on half a dozen decoys, that’s your business. But, personally, I’d rather be a great duck caller with middle of the road dekes, than a below-average duck caller with great looking dekes. For rigging your decoys, Texas rig. Trust me on this. There are kits available or you can search Texas rigs and see other people’s system and use their design. And don’t forget a decoy bag. This might be the most debated topic in the world of waterfowl. Acrylic, wood, or a combination of the two? Single reed or double reed? What about calls for Gadwalls, Widgeon, Teal, Wood Ducks, or Pintails? STOP! Don’t overthink this. If you’re looking for a great beginner call, look no further than the Haydel DR-85 and leave the rest on the shelf. If you stick with this, you eventually may want to upgrade your call to something a little bit more “duckiness” to it, but for now, there’s no reason why you should be eyeing that $130 duck call. If you feel you must have another call, spend $20 and get yourself a 6-1 whistle that will produce Green-wing teal, Widgeon, and Pintail calls along with a few others. YouTube is an invaluable tool for learning how to blow a duck call. Use it. Having acquired the tools of the trade, we now must figure out where those tools are going to be used at. We can’t simply walk out to a park and throw some decoys out and shoot birds, the joggers would probably have a problem with that. For this discussion, we’re going to keep it simple and assume you’re going to be hunting lakes, ponds, rivers, or maybe even some flooded timber. Hunting in a cut field is something I have not done to date so I won’t speak on it, but hopefully that’ll change in the next year or two. A successful hunt begins with scouting. Put the effort in and you will be rewarded. Make sure to scout nearby coves, points, and creeks. Put your boots on a start walking because the birds aren’t going to show themselves. It’s your job to find them and it may take all day or even another day. Put the effort in and you will be rewarded. Make sure to scout coves, points, and creeks. If there’s nothing there when you arrive, sit and watch for a while. Maybe they’ll land as you’re observing or maybe you’ll catch their flight path and find out they’re going to a different area you hadn’t seen or considered. Don’t rush the process, make it work for you. These offer protection from bad weather and they’re also known to hold plenty of vegetation for the birds to feed on. Coves are the most hunted pieces of land though due to their ease of access. While they can start off hot, heavy pressure will have the birds looking for other areas quickly. On calm days, ducks will use the areas on or around points for everything from feeding to socializing to resting. Like dove, they’ll use the tiny bits of gravel located on the shore lines of a point to aid in the digesting process. Points are exposed though and usually offer little protection from the wind, so a windy day may not be best for this spot. Creeks are secluded and difficult for larger animals of prey to hunt in. Be careful, the water can be deeper than your waders allow for. Quite possibly my favorite areas to hunt are creeks. Creeks are secluded and difficult for larger animals of prey to hunt in. Take note of the types of trees around the creek. Should you stumble on rows of oaks or native pecans, which are smaller but harder than soft-shell pecans, you may have just hit a gold mine, especially if the sky above has some unobstructed gaps. Be careful though because most creeks are deeper than your waders allow for. 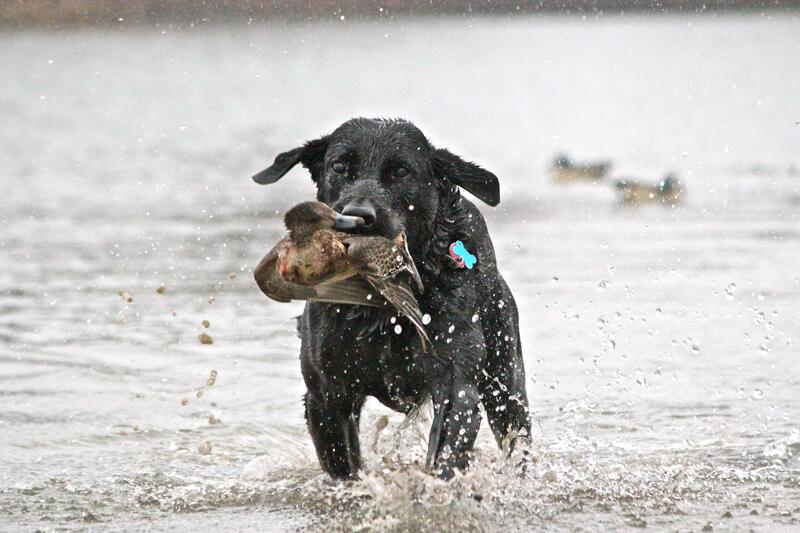 Have a plan on how to retrieve your birds and decoys without putting yourself in danger. Take note of the time of the day you’re seeing birds and if there’s sufficient cover around for you to hide in. Also, the weather and wind conditions. Wind will have a major factor on where you hunt, which we’ll discuss coming up. We have the who, we have the what, and now finally, we must figure out the how. How are we going to use this gear to bring these birds to within close enough range for a shotgun without being seen? The eyesight of a duck is far superior to ours, so we must remain invisible, but our area must appeal to their senses without setting off any alarm bells. Before going out to hunt, strategize according to the conditions of the day. Know how you’re going to hunt these birds before you even leave the house. Try to position yourself to keep the sun at your back at all times of the day or at least off to your side. Yes, I’m dead serious, you need to account for the sun. You’re going to be looking UP in the air for birds. Anytime your eyes are not shifting from side to side over the horizon and into the sky above you, you could possibly be missing out on a flight of ducks. So, it would make sense that the glare of the sun in the early morning would make it difficult on you if you were looking in its direction or lighting you up and giving away your position. Try to position yourself to keep the sun at your back at all times of the day or at least off to your side. Birds are just affected by the sun as we are. If they attempt to land coming directly at you and the sun is at your back, it’s going to be in their eyes giving you the advantage. Birds land into the wind, it helps slow them down in the landing process. If the wind is at your back, the birds will attempt to land coming straight at you. This is the most ideal scenario because not only does it present you with a big target, it causes them to fly directly at you to gain lift thus presenting you with your follow up shots. If the wind is to your left, the birds will come from your right and land to your left, vice versa if the wind is to your right. If the wind is blowing into your face, the birds will come from behind you and land away from you, what we call “landing long”. This is not ideal and should be avoided. Trees are an excellent source for cover, assuming there’s other objects in the area to break up your silhouette. Cover is essential for remaining undetected, but the wrong cover can set off alarm bells, too. If you’re hunting a shoreline with no standing vegetation around and you build a grassy blind on it, don’t you think it would stick out a little bit? Or, if everything in the area is dead and brown and you build a blind from green material, another red flag. Pay attention to detail here. Try to make it seem as though your blind is simply an extension of the land itself. Trees are an excellent source for cover, assuming there’s other objects in the area to break up your silhouette. Remember to get out there early to complete this task and still leave yourself enough time to set your spread. 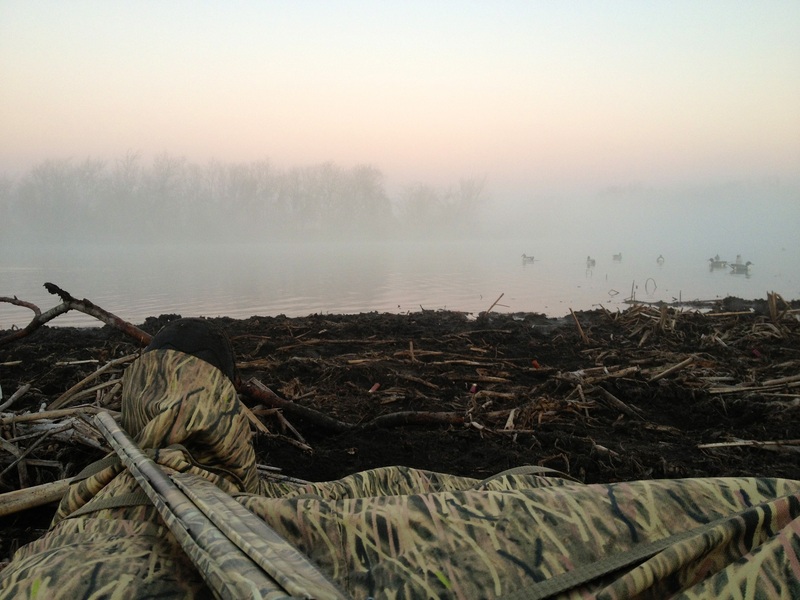 In sticking with the basics, a “C” formed with your decoys is the most common spread. Just make sure that the opening of the “C” is big enough for ducks to land in. 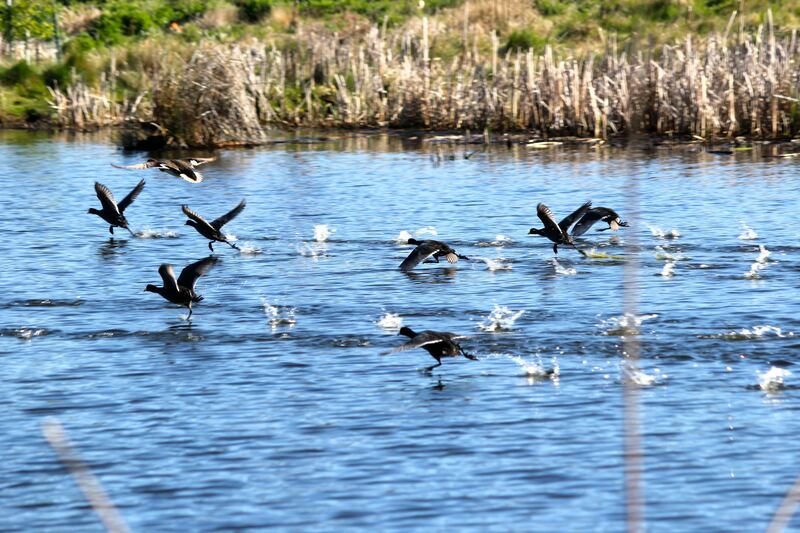 When setting up your decoys, don’t allow them to bump together but don’t set them too far apart also. If you’re having trouble visualizing how close they should be, imagine the birds you scouted and how close they were. As the season gets later and the males and females start pairing off, start reducing the number of birds in your spread. Nash Buckingham once said, “A duck call in the hands of the unskilled is one of conservation’s greatest assets”. He couldn’t be more right. Practice with your call as much as you can, even when you’re not hunting. Again, YouTube has a wealth of knowledge from people who can guide you on how to blow a call, what calls to blow and when to blow them. It’s free, so why not use it? Practice with your call as much as you can, even when you’re not hunting. Keep it simple when you’re just getting started. If you’re just getting started, keep it simple. There’s no need to belt out a 20-note hail call followed up by a 40-note comeback call before finally settling on a rolling feeding call so obnoxious that people in neighboring states start learning who you are. Trust me, you don’t want that reputation in the duck hunting world. For now, call only when you can see a bird’s wingtips or tail feathers, never while they’re coming straight at you. That’s an advanced topic for a later date. By now, you’re probably thinking to yourself that you’ve bitten off more than you can chew. Don’t think that way. This is a lot of information to take on and retain, so take it slow and work your way into it. Remember, this is a commitment to a learning process. You’re still going to be figuring out things you didn’t take into account 10 years down the road. It took me a couple of years of going out by myself the majority of the time before it really started to click with me and I’m still learning new things to implement into my daily grind. If you hang tough and stick with it, it will click. Eventually, the only click you’ll have to worry about, is if you remembered to click that safety off your gun as you put that bead on that big, fat mallard! 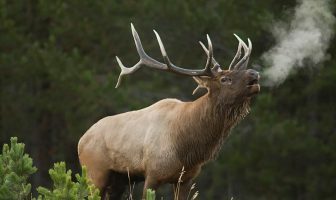 Next Article Hunting and Ethics: What Is Ethical Hunting? My husband loves to hunt, but he has never been duck hunting before. I’m glad that you mentioned that a 12 gauge is the most popular size for hunting waterfowl. He might have to buy a new gun for the hunt. Thank you for all the tips and information! Nice article! Like yourself I was bitten by this bug as a young man. It’s been a lifetime of wonderful moments. Wonderful history all over this country concerning duck hunting and gunning days of yore. Also a big part of this sport is our dogs. Don’t even go anymore if I can’t hunt with the dog. And when season is over they help keep me from going into withdrawal because of continuing to train. Yes, we love our working animals. Reminds us of our humanity having that companion by our side.